Adding to the list of reasons to outsource your network security to a certified IT provider, a recent CIA leak shows just how vulnerable most network routers really are. Read on to learn why this is such a big vulnerability and what you can do to fix it. For several months, the notorious website famous for leaking government data has been rolling out information it obtained from the Central Intelligence Agency. The documents detail top-secret surveillance projects from 2013 to 2016 and mainly cover cyber espionage. In the most recent release, documents describe government-sponsored methods and programs used to exploit home, office, and public wireless routers for both tracking internet browsing habits and remotely accessing files stored on devices that connect to compromised networks. Is my router one of them? Those brands account for over a third of wireless routers on the market, which means there’s a good chance you’re at risk. After WannaCry used a previous CIA leak to fuel its global spread, you need to worry about more than just being a target of government espionage too. Over the past few years, almost all of these leaks have quickly made their way into criminal hands. Fixing security gaps in hardware is tricky business, especially when they’re mainly used to monitor rather than corrupt. In most cases, there will be no visual cues or performance problems to indicate your hardware has been infected. As such, you should plan on regularly updating the software on your hardware devices whenever possible. 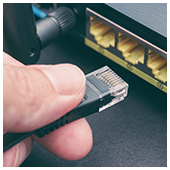 Accessing your router’s software interface isn’t a user-friendly experience for non-IT folks. Usually, to access it, you need to visit the manufacturer’s website and log in with the administrator username and password. If these are still set to the default “admin” and “password” make sure to change them. Once logged in, navigate through the settings menus until you find the Firmware Update page. Follow the instructions and confirm that the firmware has been properly installed. The CIA’s router leaks were vague, so we’re not even sure how recent they are. We are fairly certain, however, that all of the manufacturers have since patched the vulnerabilities. Regardless, updating your router’s firmware will protect from a number of cyber security risks. If you’re unable to finish the task on your own, one of our technicians can fix it, as well as any other firmware vulnerabilities, in a matter hours. All you need to do is call! Released in the spring of 2016, Power BI is Microsoft’s business analytics platform. Regardless of whether or not data is stored within a Microsoft platform, connecting Power BI to a database allows you to create detailed graphs, charts, maps, and more. For example, if you upload sales records, dragging and dropping two columns is all it takes to map out where your product sees the most demand. These metrics give you visibility into how much each O365 platform is being used. You may be paying for OneDrive accounts for the entire organization, only for Power BI to reveal that less than a quarter of your team is using it. Compare enabled users and active users to get a clearer picture of your investments. 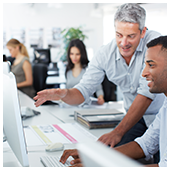 You can also see exactly how employees are using communication solutions. If nearly everyone on the team is accessing Skype for Business from a mobile data connection, it might be time to reduce your investments in cellular-based minutes. Microsoft has several collaboration platforms, and without proper guidance, employees are likely to use the easiest one rather than the best one. Power BI shows you how much time users spend time in their own Word, PowerPoint, and SharePoint documents compared to the time they spend in documents from colleagues. This shows you which platforms encourage the most collaboration and which ones are struggling. – The activation insights give you under-the-hood visibility into which versions of O365 users are running, and what devices they use to access them. That may seem like trivial information, but it can have huge impacts on cyber security. Power BI comes in three different plans: Desktop, Pro, and Premium. Best of all, both the Desktop plan and the Office 365 adoption content pack are totally free. If you like what you see, consider enlisting us to set up and optimize either a Pro or Premium Power BI deployment — we’re only a phone call away! For some businesses, power loss could result in profit loss. Natural disasters such as storms and hurricanes, construction or utility accidents, and other unforeseeable technical failures can put your business’s operations to a grinding halt. Businesses that depend on a continuous power supply to function might endure a slight disruption, but some might not. With an Uninterruptible Power Supply (UPS) system, damages caused by power failure can be avoided altogether. An uninterruptible power supply is an essential piece of hardware that protects both your computer and your data. It provides a backup power source in case of main power failures caused by electrical current problems such as blackouts, brownouts, and power spikes. Smaller UPS units can protect individual computers while larger models can power multiple devices or an entire office. Small businesses can opt for individual UPS units, which should be enough to back up critical computers and other devices that are key to business continuity. It’s a known fact that power outages can damage or completely destroy electronic equipment, especially computers. Unexpected computer shutdown can cause great damage to your computer hardware and make you lose unsaved data. A UPS ensures you never experience such a scenario. When you have UPS, the voltage that passes from the main electrical lines to your devices is consistently stabilized. This protects your computers from power surges, which happen when the voltage in other equipment suddenly rises. It normalizes power levels so that your computers are protected against dips and spikes caused by lightning or an abnormal power supply that usually comes from restored power after a blackout. An uninterruptible power supply guarantees your operations’ continuity. In the event of short-term interruptions, it gives you enough time to switch to a larger, more stable power supply such as a generator. But unlike a generator, it provides instant power to your equipment at the exact moment the power goes out. Does your business need a UPS? If you’re purchasing new computers for your small business, a UPS is an invaluable add-on. 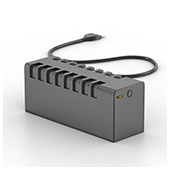 Businesses that require constant power to function such as hospitals, banks, academic institutions, manufacturing companies, and any business for which storing and processing data are critical tasks can benefit from uninterrupted power. Determining the type of UPS for your business as well as installing and maintaining it may require the expertise of professionals. We have experts who could provide you with information on properly operating a UPS, replacing its battery, identifying devices that should never be connected to it, and other safety tips. Call us today for advice. The waitlist for Pinterest’s latest “DIY Promoted Pins” tool is proof of how eager small- and medium-sized businesses are when it comes to social media marketing. Establishing a solid online presence, promoting corporate content, and driving website traffic at the same time is every business owner’s dream come true. Here are some pointers to keep in mind. According to a study conducted by Ahalogy and AcuPOLL Precision Research, Inc., Pinterest is largely used by women, mostly “Millennial Moms.” If your typical customer demographic is predominantly male, your marketing efforts would probably be better spent elsewhere. But if your business caters to women between the ages 15-29, you should consider creating an online presence on Pinterest. Users are looking for engaging content, which is why 59% of active Pinterest users go for Pins that lead to blog posts, articles, and even photos. The most popular topics on the platform are more visual (e.g., food, fashion, decor, etc. ), so if you don’t have highly visual content, then infographics, images from blog entries, and even photos of staff members also do the trick. Getting stuck in a creative rut happens to the best of us, so check out the boards that are saving your Pins to get some fresh insight. There’s a good chance that people saving your Pins have related content that can help you gain insight into what your typical customer is interested in. Not only that, it also helps you identify trends and come up with new ideas for a marketing campaign. By creating and properly labeling multiple boards — one for each of your products or services — your users are able to engage not only with your general content but also with content they’re more interested in. Excessive pinning might overwhelm or simply annoy your audience, but not pinning enough might cause followers to lose interest. Create a posting schedule and gauge audience reaction before making any changes to the frequency of Pins. In order to surpass the stiff competition, you’ll need all the help you can get, and that includes social media marketing. 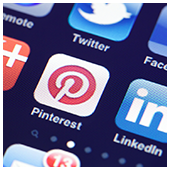 If you have any questions about Pinterest and how it can help your business grow, don’t hesitate to give us a call. Security professionals should be beefing up your network security, implementing advanced firewall software, and identifying risks for possible breaches. In reality, they spend a huge chunk of their time troubleshooting issues on individual personal computers (PCs). That workflow is not ideal, but that’s what normally happens in many organizations. At what cost? Read on to find out. According to a survey of technology professionals, companies waste as much as $88,660 of their yearly IT budget as a result of having security staff spend an hour or more per work week fixing colleagues’ personal computers. The ‘wasted amount’ was based on an average hourly salary of IT staff multiplied by 52 weeks a year. Other than knowing how much time is wasted, what makes things worse is that IT security staff are among the highest paid employees in most companies. The fixes have mostly to do with individual rather than department- or company-wide computer problems that don’t necessarily benefit the entire company. 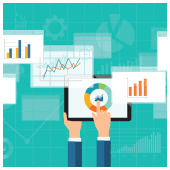 The resulting amount is especially staggering for small- and medium-sized businesses (SMBs) whose limited resources are better off spent on business intelligence tools and other network security upgrades. All those hours spent on fixing personal computers often means neglecting security improvements. The recent WannaCry ransomware attacks, which successfully infected 300,000 computers in 150 countries, demonstrate the dangers of failing to update operating system security patches on time. It should be a routine network security task that, if ignored, can leave your business helpless in the face of a cyber attack as formidable as WannaCry. It didn’t make much money, but had it been executed better, its effects would have been more devastating to businesses, regardless of size. Profitable projects could also be set aside because of employees’ PC issues. For SMBs with one or two IT staff, this is especially detrimental to productivity and growth. They can easily increase their IT budgets, but if employees’ negligible computer issues keep occurring and systems keep crashing, hiring extra IT personnel won’t do much good. The key takeaway in all this is: Proactive IT management eliminates the expenditure required to fix problematic computers. Bolstering your entire IT infrastructure against disruptive crashes is the first step in avoiding the wasteful use of your staff’s time and your company’s money. Even if your small business has the resources to hire extra staff, the general shortage of cyber security skills also poses a problem. Ultimately, the solution shouldn’t always have to be increasing manpower, but rather maximizing existing resources. Having experts proactively maintain your IT eliminates the need to solve recurring small issues and lets your staff find a better use for technology resources. If you need non-disruptive technology, call us today for advice. While it’s easy to turn a blind eye against hurricane warnings and think “I already have a business continuity plan in place”, it pays to be extremely cautious, especially when the National Oceanic and Atmospheric Administration (NOAA) predicts up to four unusually active hurricanes this year. Needless to say, you simply can’t afford not to hurricane-proof your disaster recovery (DR) plan. The NOAA forecasts 11 to 17 tropical storms in the Atlantic, the Caribbean Sea, and the Gulf of Mexico. Hurricane season has officially begun and is expected to last until the end of November. The four allegedly active hurricanes are presumed to be Category 3, 4, or 5 on the Saffir-Simpson Hurricane Wind Scale (Category 1 is the weakest and 5 the strongest). 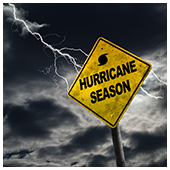 But don’t panic just yet; here are five steps you can take to protect your business during hurricane season. Despite having a DR plan, many companies don’t test their plan, at least not as often as they should. So if you’re one of those companies, it’s crucial to conduct a DR drill now. A lot can change in the months or years since you have last tested your plan — systems updates, infrastructure upgrades, employee turnover and more. By scheduling a drill, you’ll be able to make sure everyone knows their roles and that all critical systems are covered. Note that you should try to perform desktop walkthrough exercises, operational tests, and simulated recovery exercises on a regular basis. All your staff should know what the evacuation procedures are as well as their responsibilities in the DR process. If not, coordinate with HR to make sure everyone in your company understands what the plan of action is for hurricane season. Staff with specific responsibilities need to get the documentation needed to effectively manage their roles in the event of a hurricane. Set meetings with your DR team and schedule training for new team members. Your DR team should be able to quickly mobilize other employees to the DR site before bad weather hits. Don’t forget to touch base with any providers you are supposed to work with in case of an emergency, too. In addition to a secondary location for data storage, your DR plan should also include another backup site so that you can continue your operations. In the event of a hurricane, dedicated space is imperative since your backup sites will likely be occupied with employees. You should also consider the redundancy of utilities at your DR site, making sure you have enough power feed, fiber carriers, and anything else you’ll need to remain operational. Whether your DR site is in the hurricane zone or in the nearest city, chances are hotels will be overbooked as people fight for a place to stay. This means your staff will likely be stuck onsite around the clock, so you need to make sure there is enough amenities to get them through this hectic period. Is there a place for employees to shower and sleep? Is there enough food and water to last them for at least a couple of days? These amenities will help your staff pull through as they restore your operations. Your DR plan should have an appendix with contact information, SLAs, and systems inventories information. More importantly, this information needs to be up-to-date; the last thing you need is calling your IT vendor when a server goes down only to reach the wrong number. Go through all critical information in your DR plan and add any other information as needed. Vendors and shipper’s contact information are a must as they will guarantee that you get hardware and power supplies backup without any hassles. Unlike a fire drill which can be conducted on a yearly basis, your business continuity and disaster recovery plan needs to be tested regularly to meet your company’s changing needs. If you don’t already have a DR plan, or have any further questions, don’t hesitate to give us a call. Due to the recent WannaCry ransomware exploits, business owners are refocusing their efforts on protecting computer networks. Despite that, many leave one key device unaccounted for: their smartphone. The truth is hackers can exploit the technology in your smartphone to conduct malicious acts, and one of the most common is Bluetooth technology. Google paid a settlement fee of $7million for unauthorized data collection from unsecured wireless networks in 2013. While their intention likely wasn’t theft, many disagreed and called them out for Bluesnarfing, a method most hackers are familiar with. 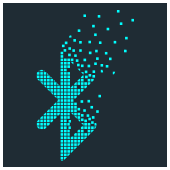 Bluesnarfing is the use of Bluetooth connection to steal information from a wireless device, particularly common in smartphones and laptops. Using programming languages that allow them to find Bluetooth devices left continuously on and in “discovery” mode, cybercriminals can attack devices as far as 300 feet away without leaving any trace. Once a device is compromised, hackers have access to everything on it: contact, emails, passwords, photos, and any other information. To make matters worse, they can also leave victims with costly phone bills by using their phone to tap long distance and 900-number calls. What preventive measures can you take? Bluesnarfing isn’t by any means the newest trick in a cybercriminal’s book, but that doesn’t mean it’s any less vicious. If you’d like to know more about how to keep your IT and your devices safe, give us a call and we’ll be happy to advise.